There have certainly been rumblings in the works for the past little while. 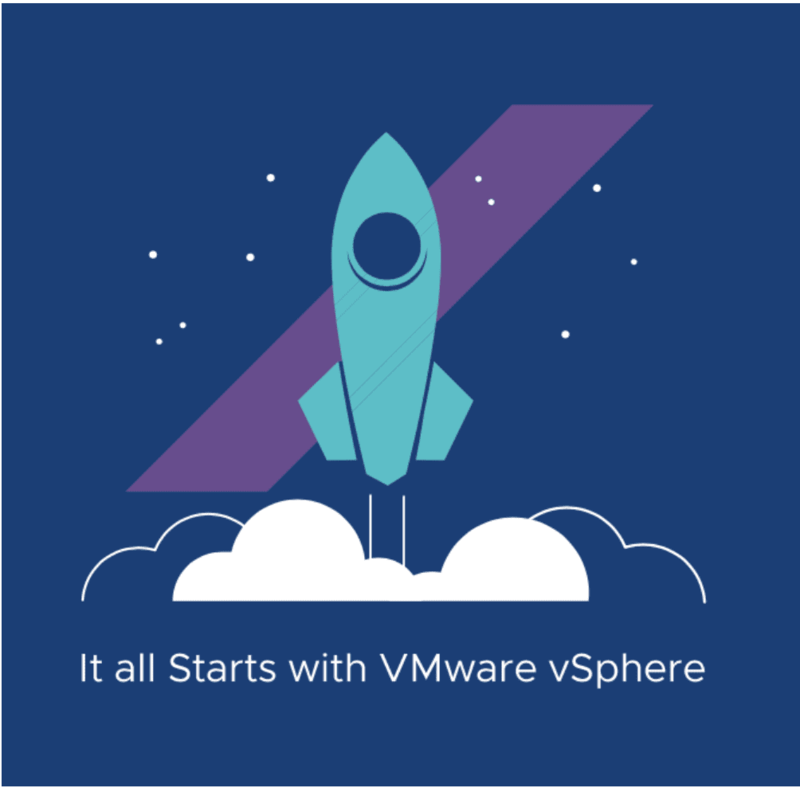 While vSphere 6.7 Update 1 was a milestone release, VMware is making news again today with vSphere 6.7 Update 2 release of vSphere. There are some very cool and exciting enhancements that are found in this release of vSphere as well as enhancements of features that were released in vSphere 6.7 Update 1. These include even stronger hybrid cloud functionality as well as VMware’s focus on the edge and ROBO environments. Let’s dive right into VMware vSphere 6.7 Update 2 announced new features to take a look at the new enhancements and functionality found in this version of vSphere that continues to enhance and strengthen VMware’s presence across all fronts in the enterprise. What features of vSphere 6.7 Update 2 coincide with the above? Starting with vSphere 6.7 with the new embedded linked mode that is able to link up to 15 embedded vCenter PSC configurations together, the external PSC architecture was ushered closer to deprecation. This was even further made possible with the new vCenter Converge Tool that was released in vSphere 6.7 Update 1. This allows administrators to migrate from an external Platform Services Controller (PSC) architecture to the simpler embedded PSC architecture. This new vCenter Convergence Tool UI will certainly speed up the momentum of migrations away from the external PSC topologies to the embedded PSC architecture and provide an even more powerful tool to accomplish this task. With VMware vSphere 6.7 Update 2, the vCenter logging has been made much more powerful. Now, administrators can capture events and logging for SSO operations such as user activity, user management, SSO group operations, identity source and policy updates. With the ever-increasing need to capture security related information across all fronts, the new auditing and logging features in vSphere 6.7 Update 2 will help to deliver in capturing powerful new security metrics in the virtualization management landscape. By far, perhaps the most major security event of 2018 was the array of processor related vulnerabilities discovered across many fronts. One of those was the L1TF security vulnerability or the L1 Terminal Fault attack. With vSphere 6.7 Update 2, enhanced protection features against this attack have been implemented, including a modified scheduler that also recaptures performance impacted by the vulnerability. While buried under the many other new features of this release, there are new VM configuration maximums in vSphere 6.7 Update 2. This includes 256 vCPUs and 6TB of vRAM. This extends virtualization use cases to even more database intensive applications such as SAP HANA and allows vSphere to effectively virtualize these types of workloads. As you most likely remember, vSphere Platinum is a very unique version of vSphere that effectively combines the core features of vSphere that vSphere admins know and love along with the new exciting security features of VMware’s AppDefense machine learning technology that allows baselining application behavior and establishing a “known good application footprint”. The AppDefense plugin allows visibility right from the hypervisor level into potential anomalies and security events happening with VMs running datacenter applications. New with vSphere 6.7 Update 2, vSphere Platinum edition has been enhanced with new AppDefense capabilities that help to increase application visibility and security lifecycle management. With this release, there are new scope-level dashboards that provide a real-time snapshot of application health and a security validation overview. The detailed granularity of monitoring and event classification helps to sharpen and decrease incidence response and remediation times. One of the huge advantages to vSphere Platinum is that it automatically adapts to security events in the environment including new “known good” application behaviors that are legitimate. This alleviates the pain of “false positives” and security professionals inadvertently chasing phantom security issues. VMware has certainly focused a lot of attention on the edge as of late. They certainly see a lot of customer potential use cases with edge and IoT. One of the common edge locations that many organizations maintain is the remote office branch office or ROBO environment. New with vSphere 6.7 Update 2, there is a new edition of the vSphere Remote Office Branch Office ROBO edition – Enterprise. It delivers key new capabilities that help to deliver new security and infrastructure agility at remote site locations. One of the common security concerns is at the edge or ROBO environments since these are positioned the furthest away from the core and are more challenging to monitor from a security perspective. With vSphere 6.7 Update 2 ROBO Enterprise edition, customers have VM-level encryption at their disposal. This helps to ensure that data is secure against unauthorized access, even in these remote locations. VMware vSphere 6.7 Update 2 ROBO Enterprise edition has a slick new feature called DRS in Maintenance Mode. This provides an automated solution for maintenance that automatically moves VMs from a server when it goes offline for maintenance and then brings the same VMs back to the server afterwards. This new automation feature along with other core vSphere features allows maintenance to be performed centrally and helps to reduce operational and troubleshooting costs from a personnel perspective at the remote office location. This looks to be a great new release for VMware vSphere. In looking at VMware vSphere 6.7 Update 2 announced new features, there are many new enhancements in the outset that we know about that will further extend VMware’s capabilities in the enterprise and beyond. VMware has certainly set its sights on the edge as well as solving many of the security related challenges that organizations today are facing on many fronts. Stay tuned for more vSphere 6.7 Update 2 news and details. Read more at VMware’s official blog post here.